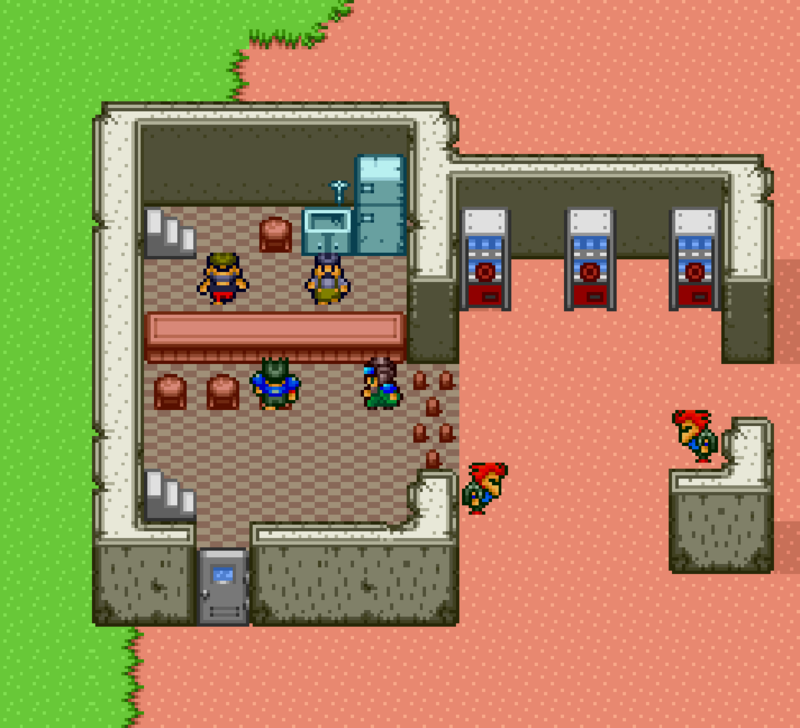 While we’re on the subject of the Metal Max series, I’d be remiss if I didn’t include these soda machines from Metal Max 2 for the SNES. 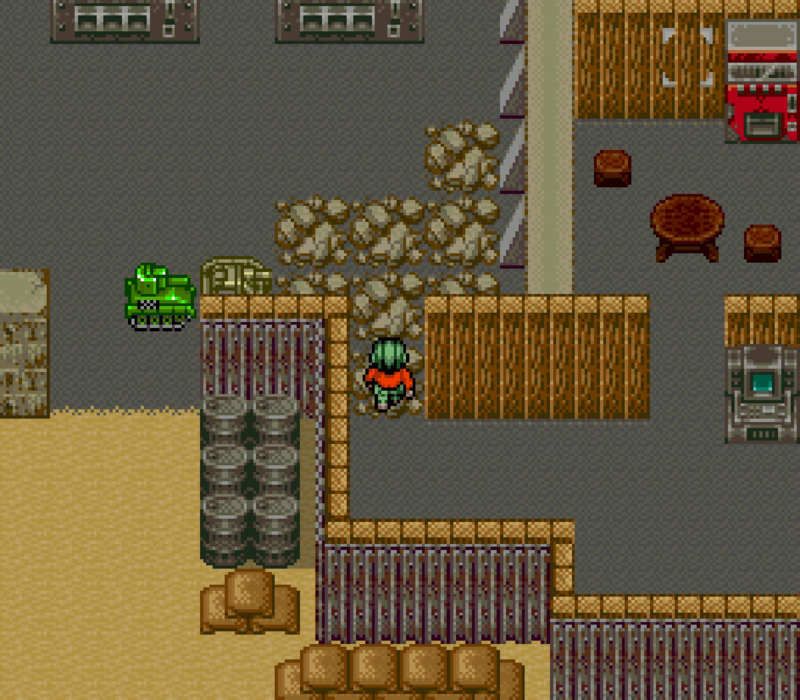 Metal Max Returns is a remake of the original Metal Max, this time for the Super Famicon. 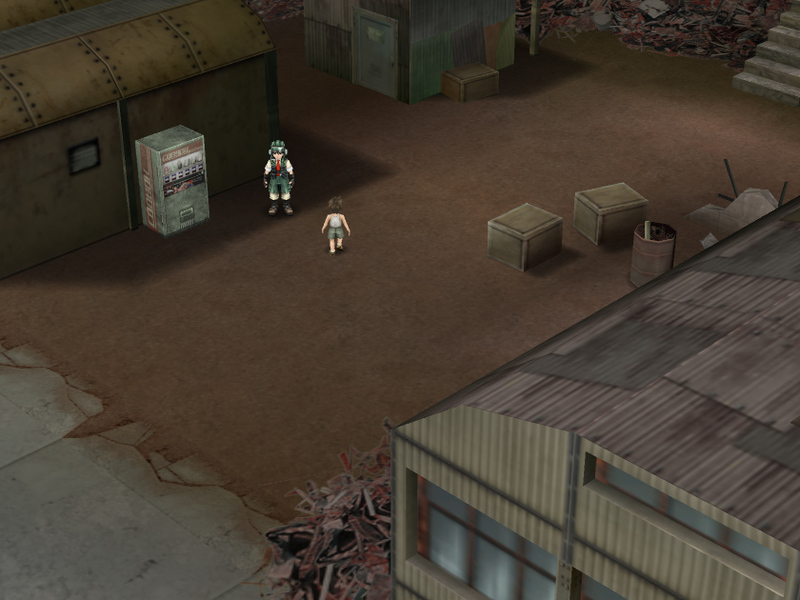 Needless to say, the game’s post-apocalyptic soda machines make a return appearance. 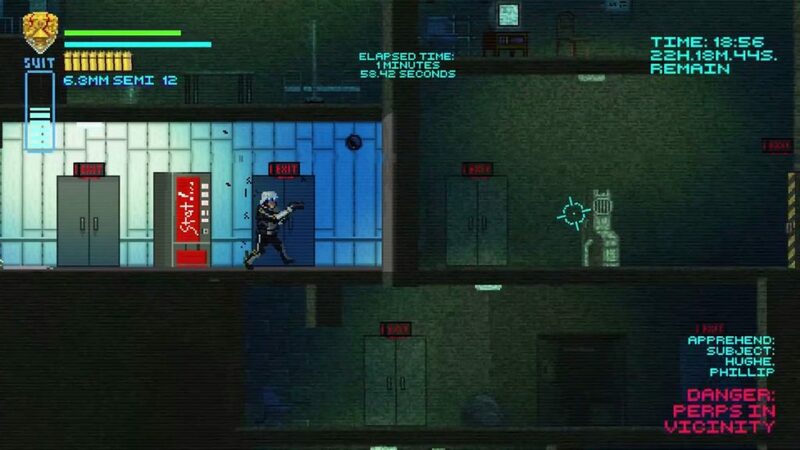 If there’s a takeaway from The Video Game Soda Machine Project, it’s that soda machines will absolutely survive the apocalypse. 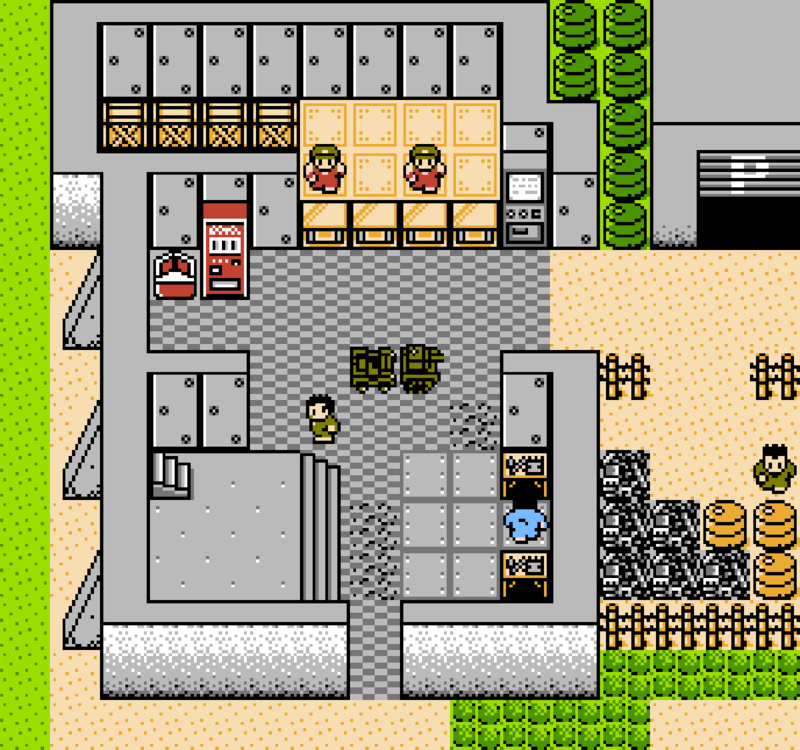 This screenshot from Metal Max for the NES is just further evidence of their durability. Visiting the Junkyard in Metal Saga for the PlayStation 2? Treat yourself to an ice-cold soft drink!